Hi Lindsay, would you recommend freezing the gnocchi cooked or uncooked? We’d recommend freezing it cooked, but before sauteing it in the brown butter. This dish was amazing!! Should the sage and garlic be left whole? Garlic should be minced, sage can be whole or roughly chopped! This recipe was delicious! It reminded me of a dish at one of my favorite restaurants and even my meat eating husband loved it. Thanks for the recipe!!! Glad to hear it, Elizabeth! Ahh! 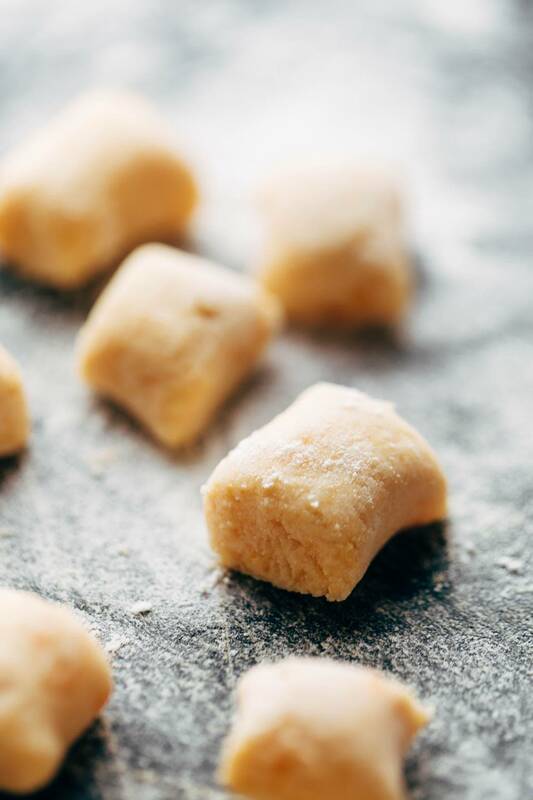 My gnocchi pillows turned into mush after i drained them – I’m devastated…!! Is it possible to over boil them..?? I didn’t think that I did though…or maybe not enough flour? Help! ohhhhhh my. 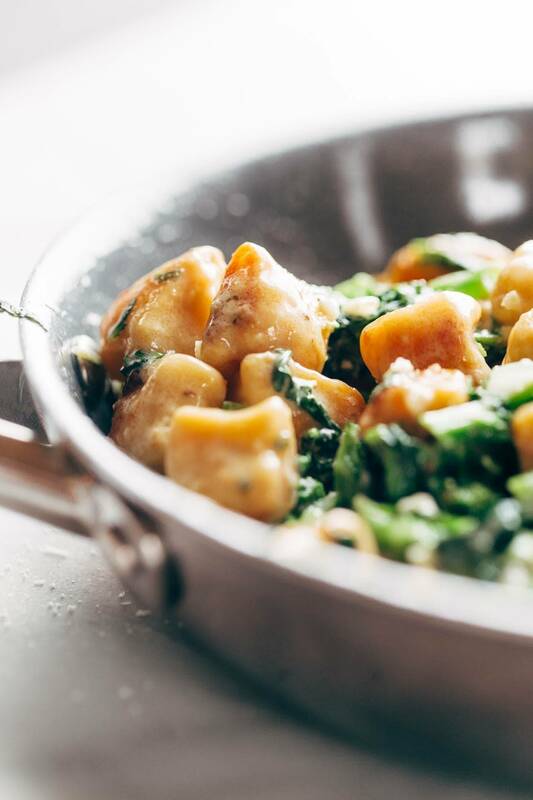 that sweet potato gnocchi is to die for. i’d eat it every day if i could (it’s the good kind of carbs, right?!) i loved making this and devouring the gnocchi. unfortunately, i may have gotten a bad batch of broccoli rabe – it was so bitter i couldn’t eat it (and generally i’m a fan of bitter… brussel sprouts lover here). but i want to make this over and over and over. 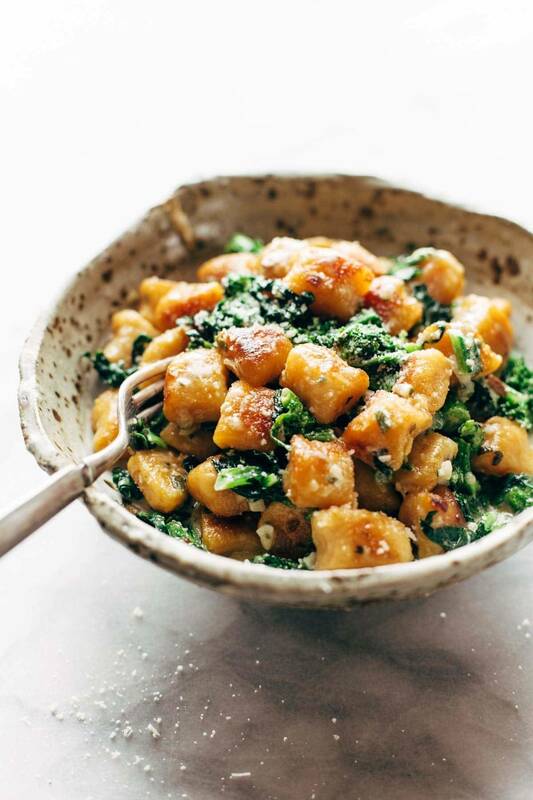 Hi there, this looks delicious but I cannot eat cheese – what would you substitute the ricotta for in the gnocchi? Thank you! Hi Ankita! Do you have a stove? If so, I’d try boiling them for about 10-12 minutes until tender. For the cheese, we don’t have a lot of experience with vegan cheese but think it’s worth a try! I made this last night for NYE and it was absolutely divine! The only substitution I made was broccolini for broccoli rabe (it’s what my grocery store had on hand) and it was perfect. This meal was so rich and decadent—definitely a meal for a dinner party or date night. The only issue I ran into was when sautéing the gnocchi in the butter—they really broke up easily when I tried to flip or rotate them and stuck to the pan very easily (didn’t have a non-stick on hand, but though the butter would prevent it). However, this did not compromise the taste one bit, just didn’t look as perfect when plated. Thanks for a great (and a sure-to-impress) recipe! Hmm maybe some parsley or thyme! What meat would you use in this? I’ve served this along steak before and it’s a great combo! I think roasted chicken would work as well. I can’t wait to try this for my blizzard food. This looks incredible! I made this and would recommend more flour to stiffen the dough and perhaps the addition of an egg! This looks fantastic! I definitely want to try making this for dinner! I was wondering how long it takes (when do I need to start for it to be ready by 6pm)? Thanks! I was looking forward to this recipe. I followed the instructions but gnocchi was all sticky and I couldn’t figure out what went wrong. My only theory is maybe I should have let the sweet potato cool off (it was steaming when I put SP in the bowl) before mixing everything? That could definitely be it! I’d also make sure that your heat is pretty high when you add the sweet potato to the pan – you need a good sear to avoid it falling apart. Looks amazing. My last attempt st making gnocchi was a disaster so hoping this one will work! But is it meant to say 11 lbs of sweet potato? Sondering If it’s just the format on my screen – Sounds like a lot..? Hi Cecilia! That’s actually one 1-lb sweet potato. Hope you enjoy! 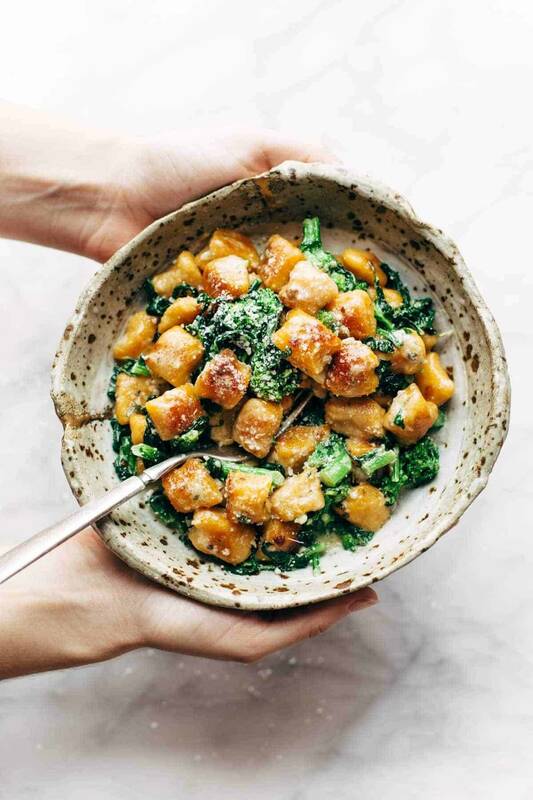 made this last night with kale and it was dynamo! just the sort of feel-good-delicious-comfort-food that my body was craving after a day of marching along side my sisters. thank you for this delicious recipe. sending lots of vibes to you and bjork for love, peace and healing. Hi Julie! We usually freeze them before pan-frying. Jenna, I froze half the gnocchi after boiling them. Do the frozen gnocchi go straight from the freezer into the pan to fry? Thanks! Hi Nora! Did you toss the cooked gnocchi with some olive oil while it was waiting to sear? I’d also make sure your heat is really high before you put them in the pan, and make sure the gnocchi aren’t touching each other too much. Maybe I offended the gnocchi gods in a previous life but the ratios never work for me the way it says. I had to put in over 3 cups of flour to make the dough cut able, which made them a bit insipid. On the up side my fussy kids loved it, my daughter telling me it tasted ‘like heaven’. This looks amazing first if all, but how long does it take to make. Would love to make it tonight…. This looks so tasty! Hoping to make tonight. Approximately how many cups of cooked sweet potato is used? Hi Michelle! It’s hard to know without cooking/measuring it in cups, but we’d guess it to be about 1 cup. Hi Lindsay. I love your recipes! Should be Taste of SUPER Yum. I also love the bowl the sweet potato gnocchi is in and have been looking for bowls like that for some time. Can you give me the brand or where you got them, or where I might find similar bowls if there is no brand (ie. a local ceramist and/or only sold locally). Thank you. 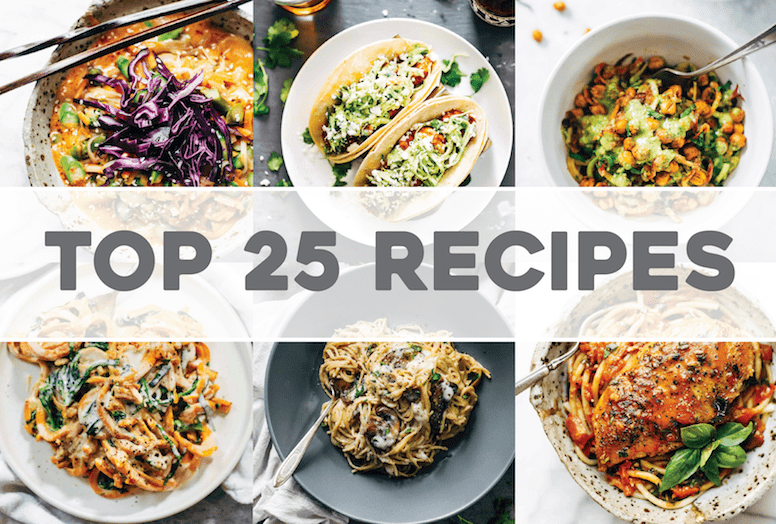 the title of the recipe? Had it and then lost it!